This week Andy got busted for cheating on Sammi with TV actress and former beauty pageant queen Jacqueline Wong. 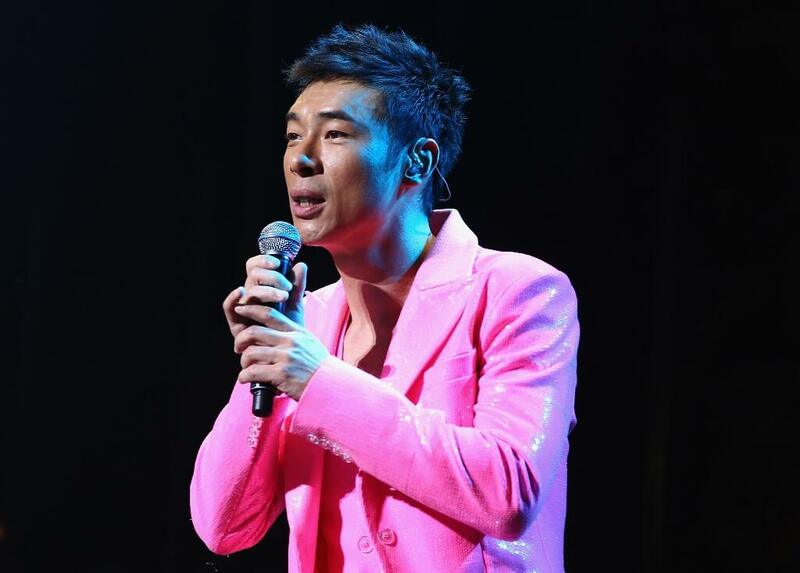 Andy Hui called a press conference – TO PUBLICLY APOLOGISE FOR CHEATING ON HIS WIFE. I mean, he didn’t do anything to me so I don’t need the apology but, again, for those of you of western background, here’s another monster f-cking difference in our cultures: Andy f-cked up in his private life and it’s become a public offense. He goes on to specifically say sorry to his family and friends and then admit his wrongdoing, telling the assembled press that he did something horrible and unforgivable that he’s there to take responsibility for. He explains that he was super drunk that night but that that’s not an excuse, that he’s remorseful, that he can barely face himself – and the tears are coming down and he’s blubbering out his nose and his voice is cracking and the flashes are going off NON-STOP. After that it’s a final apology, to Sammi in particular, and a reminder to all that he is a terrible, contaminated person who hopes people can allow him the time to fix himself.